Prime Minister Justin Trudeau has a lot more in common with Stephen Harper than he would probably like when it comes to his job approval score, a new poll shows. More Canadians than ever before dislike Mr. Trudeau's Liberal government, whose approval ratings are now identical to Mr. Harper's before the last election, according to a new poll being released on Monday by Nanos Research and the Institute for Research on Public Policy. The share of Canadians who say Mr. Trudeau's government is doing a bad job has jumped to 39 per cent from 33 per cent a year ago and 23 per cent in 2015, according to the annual Mood of Canada survey, conducted in late December. A year of ethical lapses and the botched rollout of small business tax changes have taken a toll. 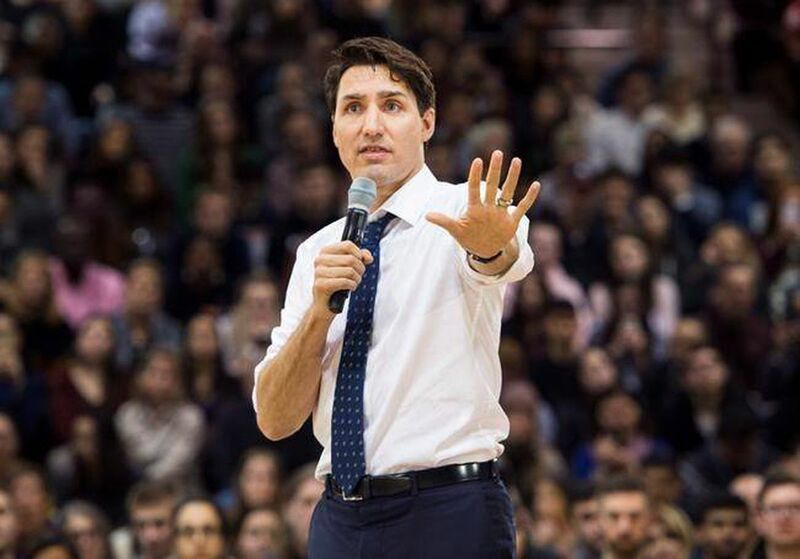 It is the second consecutive year of falling job approval ratings for Mr. Trudeau in the annual survey, and a sharp deterioration compared with his early postelection ratings honeymoon in 2015. The share of Canadians who say Mr. Trudeau's Liberals are doing a "very good" or "somewhat good" job has tumbled to 37 per cent in the latest poll, down from 43 per cent in 2016. Mr. Trudeau and his team enjoyed a surge of popularity in the aftermath of their 2015 election win, when 60 per cent of respondents judged the government was doing a good job. The result is that Mr. Trudeau's positive ratings now match those the former Conservative prime minister had in the 2014 Nanos-IRPP survey. "It's kind of ironic that the positive evaluations now are comparable to Stephen Harper at the end of his mandate," said pollster Nik Nanos, president of Ottawa-based Nanos Research. "When the Liberals were elected, there was a certain sense of exuberance with the change of government and people being positive. What we're seeing now is the government transitioning from the promises they've made to the day-to-day grind and the reality of governing." He likened the Liberal government's sinking ratings to a "technical correction … to something that is realistic." The combined telephone and online survey of 1,000 Canadians was conducted from Dec. 27 to 29. The poll has a margin of error of plus or minus 3.1 percentage points, 19 times out of 20. It marks the 11th year the poll has been done. Respondents who disapprove of Mr. Trudeau's Liberals are most likely to be male, ages 55 or over and live on the Prairies. The Liberals have been knocked off message by months of negative headlines. In December, the federal ethics watchdog said Mr. Trudeau broke government rules in 2016 when he and his family vacationed on the Aga Khan's private Caribbean island and rode in his helicopter. Earlier in the fall, the Liberal government faced a backlash after Finance Minister Bill Morneau moved to limit tax breaks for small businesses while leaving untouched family trusts that the minister and other wealthy Canadians use. The Ethics Commissioner is also examining whether Mr. Morneau was in a conflict of interest when he introduced Bill C-27, pension legislation that could have potentially benefited his former firm, pension consultant Morneau Shepell Inc.
Mr. Nanos said the headlines are a distraction from the agenda that got the Liberals elected – namely, helping the middle class and engaging in a different style of politics. The survey results are not all bad for Mr. Trudeau. Sixty-one per cent of respondents still rate the Trudeau Liberals' performance as average or better. And most Canadians remain satisfied with the direction the country is taking and believe Canada's reputation around the world is on the upswing. Mr. Trudeau also gets relatively good marks for his handling of federal-provincial relations. Another silver lining for the Liberals is that neither the Conservatives nor the NDP have so far capitalized on the government's missteps. Other recent polls show the Liberals have maintained and even expanded their lead in recent months. CBC's Poll Tracker – a weighted aggregate of all publicly available opinion polls – suggests the Liberals would win another majority if an election were held now. The Liberals have a roughly seven-percentage-point lead over Andrew Scheer's Conservatives.